This stunningly unique Chinese hand dance show has been seen all over the world and is one of the most amazing acts we have ever seen. The perfectly co-ordinated hand movements draw in the audience and leave them speechless. The Chinese Hand Dancers are all disabled and have been performing all over the globe. This dance show would be a good choice for international corporate events. These entertainers would make a dramatic impact at any event, and would make for great corporate entertainment. 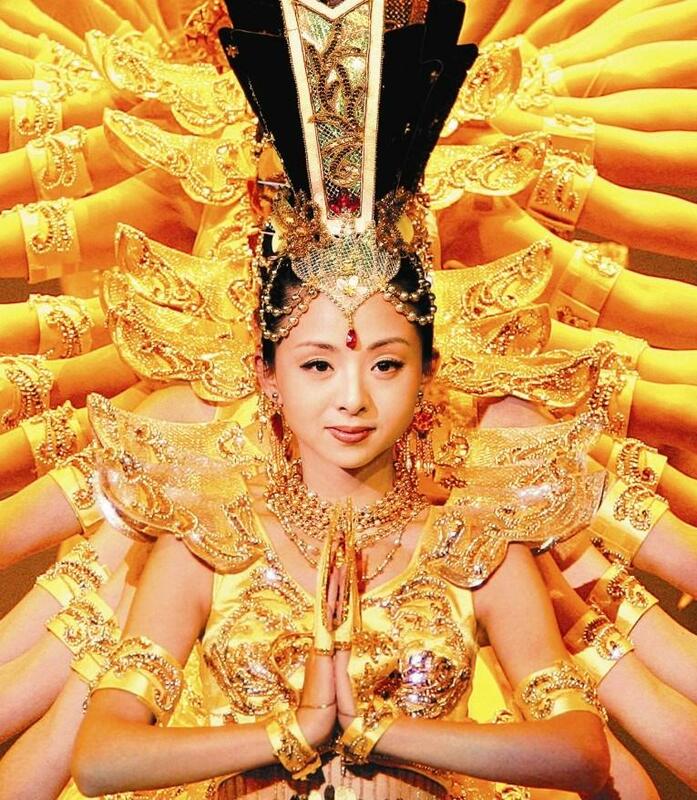 We are the only entertainment agency in the UK to represent the amazing Chinese Hand Dancers. In Buddhism, 42 hands represent a thousand hands. 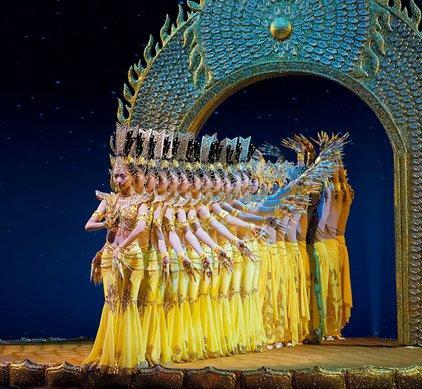 Tai Lihua, a girl with hearing impairment and other 20 hearing impaired dancers stand on the lotus stage just like one person with a thousand hands. 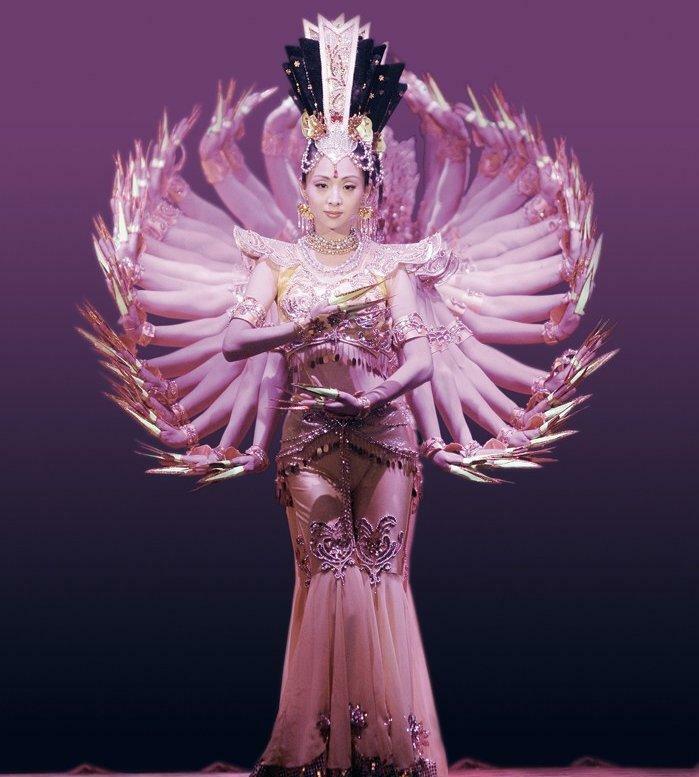 With kind expression in their eyes, varied postures of hands and saintly dance, the Chinese Hand Dancers perform the kindness of Avalokitesvara Bodhisattva bringing you into a mood of nature-human integration. 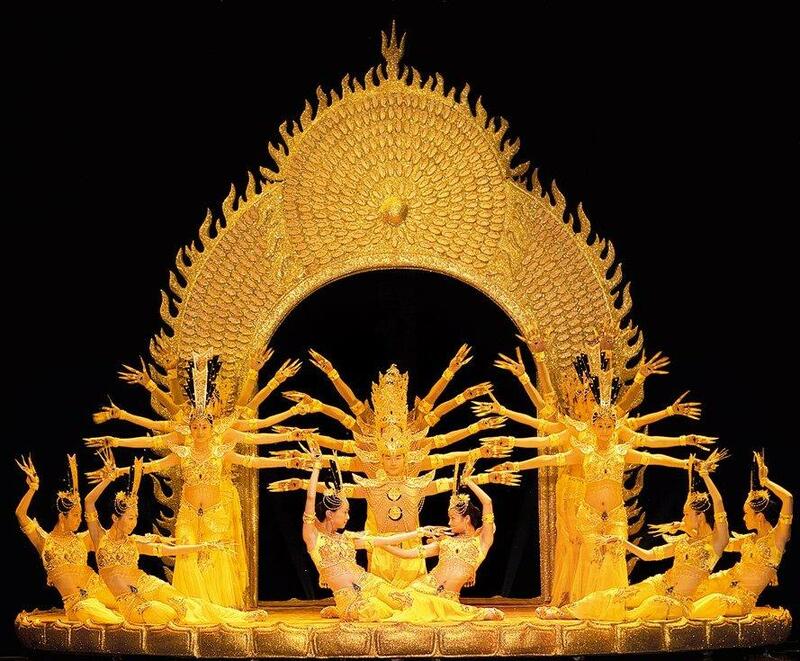 The Chinese Hand Dancers perform a visually stunning show that will never be forgotten. The performance lasts for 6 minute 9 seconds. The Chinese Hand Dancers are available to perform in China and Internationally. The stage needs to be at least 10m wide x 8m depth.